Click a Lion to find out the latest on the Wauchope Surname DNA Project! George Washington Carver, speaking of the peanut. As I was growing up in central Iowa, USA, during the 1960s and 70s, my father, Wm. 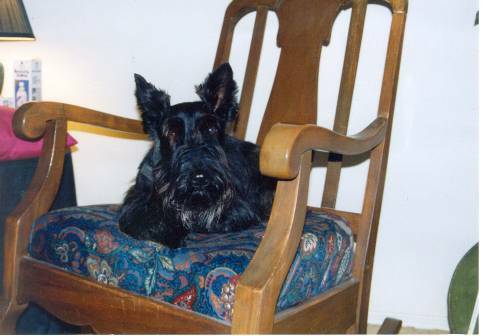 Ralph, had always told us that we were of Scots-Irish descent (whatever that was). He further told us that the spelling of our name, Walkup, was at one time changed from something else. Over the years he showed us various gravesites of our ancestors in southwestern Iowa. He eventually showed us the ledger in which his grandfather, James, had painstakingly recorded his family tree back to what is now West Virginia, with a note that our Walkup ancestor was a Scotsman. This was all interesting enough, but at that time of my youth did not seem too important. In the mid 1980s my older brother, Brian, became interested in our genealogy. He expanded upon my great grandfathers work and filled in other surname branches of our tree. However, in the Walkup line he never really progressed much beyond what we already knew, except for the existence of a couple of rare family history books. He also learned the original spelling was Wauchope. By this time my interest had begun to be piqued. Also, shortly thereafter The Walkups an American Family for Three Hundred Years two volume set was released. Then in December of 1996, I gained access to the Internet, and things just havent been the same since. Azure, a garb or, in chief two mollets of the last (Wauchope of Niddrie-Merschell, Midlothian, Scotland). Crest: A garb proper. Azure, a garb or, in chief two mollets of the last, with a crescent or, in fess for difference (Wauchope of Edmonstone, Midlothian, Scotland). Azure, a garb or, in chief three mollets argent (Wauchope of Cakemuir, Edinburghshire, Scotland). Azure, on a fess argent between two mollets in chief and a garb in base or, a fleur-de-lis gules (Waugh of Larkhall, Roxburghshire, Scotland). Crest: A garb vert banded argent. Azure, a fess between two mollets in chief and a garb in base all or (Wauch/Waugh of Glenboy, Angus [formerly Forfarshire], Scotland). Azure, a fess between three mollets, or (Wauch/Waugh of Scotland). Crest: A greyhound, sejant, sable. Or, a fess sable between a lion passant guardant gules in chief and a crescent in base of the last (Wauch/Waugh). Crest: Out of a ducal coronet, a dexter hand holding a sword, in pale, blade wavy, all proper. Argent, on a chevron gules, three bezants or (Waugh of Scattergate, Cumberland, England). The origins of the ancient Scottish surname Wauchope are perhaps lost in antiquity. There are two locations in the Borders region of Scotland (i.e., first Dumfriesshire and later Roxburghshire) named Wauchope. The early charters have been lost or destroyed. It has been said that they had their first rise from a French knight (i.e., Norman)3 in the service of Malcolm III, Canmore, (1058-1093) in about the year 1062. This is by no means certain. The Wauchopes may still very well trace their roots to the Scandinavians of the Danelaw (a kindred people to the Normans), or from the old race of Britons (a Celtic people) by whom the kingdom of Strathclyde was so maintained against its foes, or even further back to those arriving after the last glacial age (circa 4,000 B.C.). However, the arriving Normans displaced the former landholders for the most part. Multiple origins have been found to be true via Y-DNA testing. These origins include another intriguing possibility not previously contemplated by researchers, that being a Thracian soldier in the Roman army. Nonetheless, though never found as tenants-in-chief (e.g., Earl) of the King, the Wauchopes had their own feudal tenants and vassals, and at one time held great power along the Borders. In general they seem to have had a very chequered history. Many were involved in feuds throughout the centuries. Later generations transformed this martial bent into distinguished military service. The Wauchopes were well known as early intimate associates of the mighty Lindsay, Douglas, and Comyn (Cummin) families. It has even been postulated that the name deduces its origin from the Norman Lindsays. Wauchope Castle located about ½ mile southwest of Langholm in Dumfriesshire, along the north side of the Wauchope Water, was an early stronghold of the Lindsays in Scotland. The once impressive fortress was built shortly after Sir John Lindsay, Great Chamberlain to King Alexander III (1249-1286), was granted Wauchopedale in 1285, and had fallen into ruins by 1580. The Lindsays of Wauchopedale were the ancestors of the Earls of Crawford. The Lindsays held Wauchopedale for the most part until 1707. But the Wauchopes presumably merely preceded the Lindsays there. This is not to say that some other unrelated Wauchopes may not have later taken their name directly from Wauchopedale of the Lindsays, as revealed by Y-DNA evidence. The first recorded Wauchope was one Ada de Waleuhope (uncertain whether of Dumfriesshire or Roxburghshire, as this border shifted), who witnessed a charter by Symon de Lyndsay of Wauchopedale, Dumfriesshire, to the Abbey of Melrose for lands in Molle, Roxburghshire, in the reign of William the Lyon (1165-1214). In 1389, Robert II confirmed a charter of James, Earl of Douglas, for lands often said to be in Roxburghshire4 to Alexander de Walchope5 and his heirs, whom failing, to Adam de Glendonyn (Glendinning) and his heirs. Much of the Wauchopes Roxburghshire lands first came into the possession of John de Walhop and later his brother William de Walhope in 1300-1307. They also held vast properties in Ireland6. These Roxburghshire lands later passed to the Turnbulls in 1404. Wauchope Tower in Roxburghshire along the Wauchope Burn near Wolfelee and Wauchope Forest was recorded as being in the possession of the Turnbulls in 1530 (this particular incarnation of the castle was thought to have been built by the Turnbulls). Thomas de Walchope (Thome Valchope) seems to have been a person of some consequence. His name appears in the Exchequer Rolls as Baillie (i.e, judge/sheriff) of the lands of Queen Margaret, wife of David II, in the Sheriffdom of Perth, in 1368. A branch of the Wauchope family presumably left the Borders region, headed north, and became possessed of the lands of Tulimacboythne (Tullibole, that is now Kilduthie) in Kincardineshire, and Culter and Ardboik (Arbeck) in Aberdeenshire. These lands were confirmed by Alexander II to Robert Wauchop, son of Allan Wauchop, in 1247. Alan de Walchop was Keeper of Aboyne Castle and Chamberlain to the Earl of Aboyne in 1291 and to Donald, Earl of Mar, in 1293. Robert was known to also hold lands in the south of Scotland. In 1249, he was one of the six famed Scots knights appointed to meet with six English knights to settle the Law of the Marches. 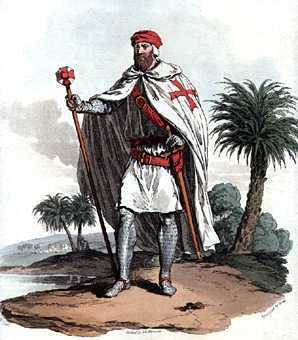 As witnessed in the Ragman Rolls of 1296, Robert (along with other Waughs and Wauchopes) paid homage to King Edward I of England in the wake of his triumphant invasion of Scotland. With Edward leading the way, a cavalcade made up of his great nobles and officers of state, 5,000 mail-clad knights, and 30,000 men-at-arms paraded eastward 13 miles from Durris Castle along the River Dee through Culter to Aberdeen. The extensive lands of Culter (Gaelic: cuil tir for “back land”) lay along both banks of the Dee about 7 miles west of Aberdeen. William the Lion gifted the lands of Culter south of the Dee to the Knights Templar in 1187, which became known as Maryculter in honor of St. Mary. The lands of Culter north of the Dee went to the Wauchopes and became known as Peterculter in honor of St. Peter. These northern lands went with Marjory, a daughter of Adam Wauchop (Roberts son), to Philip Cummin of Inverlachie of whom is lineally descended Cummin of Culter (the Cummins are known to have come up from Dumfriesshire). The Cummin seat was at stately Culter House. The Wauchopes presumably held it before the Cummins as a large mansion has occupied the site going back to the twelfth century. A nearby motte (i.e., hillock) called Camp Hill above the Dee is the site of some ancient fortifications. There is a hill called Waughton about 8 miles southwest of modern-day Inverallochy in Aberdeenshire whose name one would suppose dates back to this period. 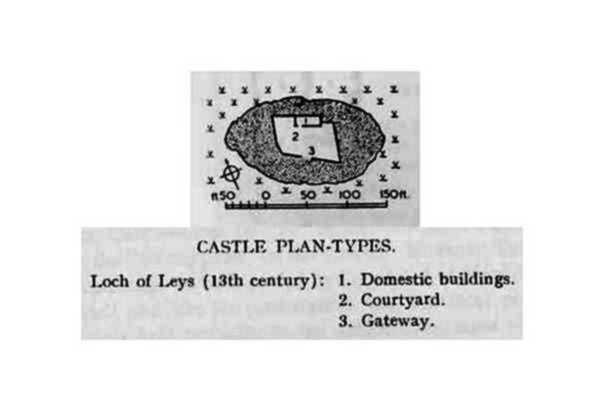 The Castle of Leys in Aberdeenshire, built upon a crannog (i.e., man-made island) in the Loch of Leys (formerly Banchory), was said to be a fourteenth century fortalice of the Wauchope family. Tradition states the Wauchopes were driven from the fortalice during the Bruces Wars [i.e., War of Succession and Independence (1290-1328)]. 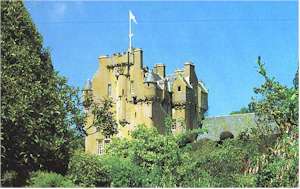 It was the fifteenth to sixteenth century seat of the Burnett family, until they built nearby Crathes Castle. The Burnetts were made Royal Foresters of Drum by Robert the Bruce and given the ivory Horn of Leys for their support in 1323. 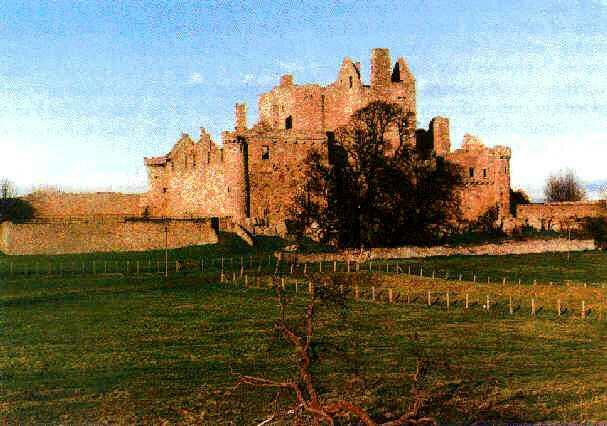 Gilbert Wauchop had a charter from Robert III (1390-1406) for the lands of Niddrie in the vicinity of Craigmillar Castle, just southeast of Edinburgh. He is supposedly the grandson of Thomas Wauchope in the county of Edinburgh, mentioned there in the Ragman Rolls of 1296. This branch of the Wauchope family is thought to have derived from the Aberdeenshire branch. It has been suggested the family possessed the property as early as 1249. The Wauchopes were one of the two oldest families with seats in Midlothian, the other being the Lords Sumerville. Niddrie-Merschell, once one of Scotlands most beautiful and renowned country estates, was held by the family until its final sale in 1944, except for two short intervals7. Left empty and unguarded, the mansion was set afire in 1959 and ultimately demolished in 1968. It was supposed to have been turned into a museum. In its glory, the mansion had room to lodge 100 guests, or armed followers. At the heart of the mansion lay a sixteenth century square tower castle. The addition of Merschell was thought to arise from the heads of the family having been hereditary Baillies to the Keith Lords Marischal, and Marischal-Deputies in Midlothian. The Marischal was custodian of the Royal regalia and was to protect the King at Parliament. Sir John Wauchope, commonly known as “Wauchope the Covenanter,” restorer of the House of Niddrie, was a member of the Scottish Parliament throughout the mid 1600s. In 1661, he became possessed of the lands of Town Yetholm, Roxburghshire. Members of the family still own a portion of this property today. 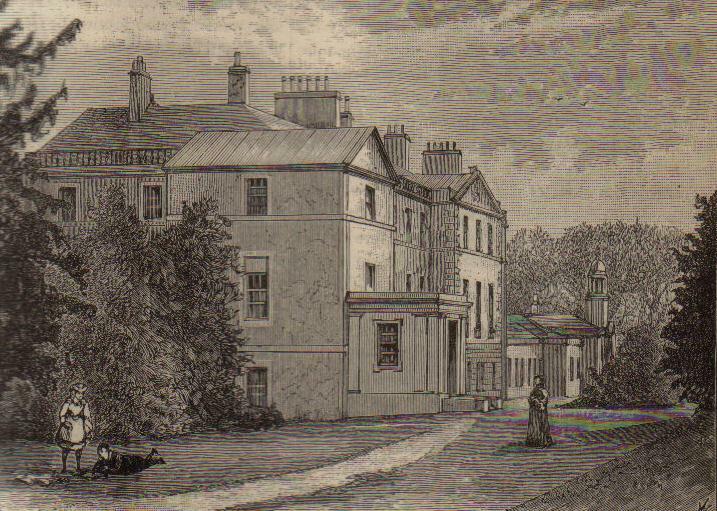 The Niddrie-Merschell family also acquired, through marriage, the adjacent lands of Edmonstone8 in 1671, which in 1730 passed to the Don-Wauchopes (actually a branch of the Don family of Newton). Notably, Jacobite General John Wauchope served in Ireland under Sarsfield and died fighting in Spain in 1694. Prince Albert (Duke of Edinburgh and eldest son of Queen Victoria) often dined and stayed weekends at Niddrie mansion (1863-4). The last of the Niddrie-Merschell line was Major-General Andrew Gilbert Wauchope (a.ka. Andy or Red Mick) , who died at Magersfontein, southern Africa, in command of the Highland Brigade in 1899 during the Boer War (1899-1902). He gave up running a vast coal mining empire9 for a distinguished military career. When only a colonel in 1892, he ran against William E. Gladstone (Prime Minister of Great Britain 1868-74, 80-85, 86, and 92- 94) in Midlothian and barely lost. Over the years the Wauchopes have held several other noteworthy properties. 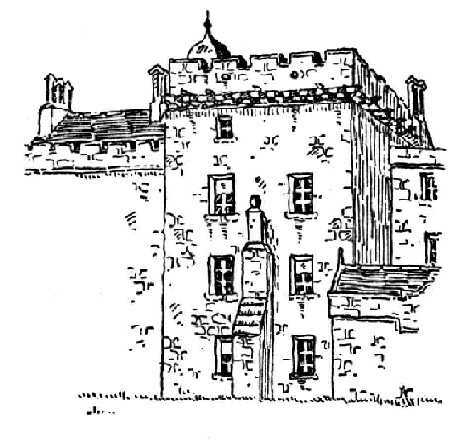 Adam Wauchope (son of a later Gilbert of Niddrie-Merschell) was on record in 1565 as possessing Cakemuir Castle in Edinburghshire. This mid sixteenth century tower, thought to be built by him (or perhaps by his father as early as 1525), was a famed temporary hiding place for Mary, Queen of Scots (by then deposed), in 1567. The property remained in Wauchope hands until the death of Andrew Wauchope in 1794. The castle last underwent restoration by its then owner in 1949. Gilbert, brother of Adam, became possessed of the East Lothian lands of Stottencleuch in Haddingtonshire in 1592. 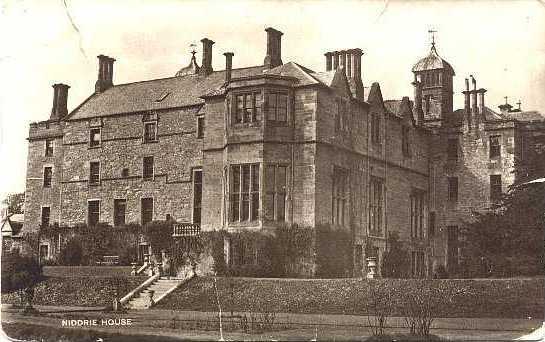 The Wauchopes were also thought to have very early possessed the East Lothian lands of Waughton (also known as Wauchtoun, Waughtoun, Wauchoptoun, Waughoptoun), with “ton” or “toun” most likely referring to the enclosure which surrounded the dwelling of the lord of the manor or the whole of the land which constituted his domain (from obsolete definition of town). Several other lines of possibly related Wauchopes are thought to exist. The name Bauchope, found mostly in the region between Stirling and Edinburgh, is thought to be a corruption of Wauchope. The common Border name of Waugh has proved to be an abbreviation of Wauchope via legal records, heraldry, and the Ragman Rolls. The Waughs are thought to be an early branch of the Wauchopes of Niddrie, as evidenced by the similarity in arms and motto (e.g., Waugh of Larkhall near Jedburgh, Roxburghsire). 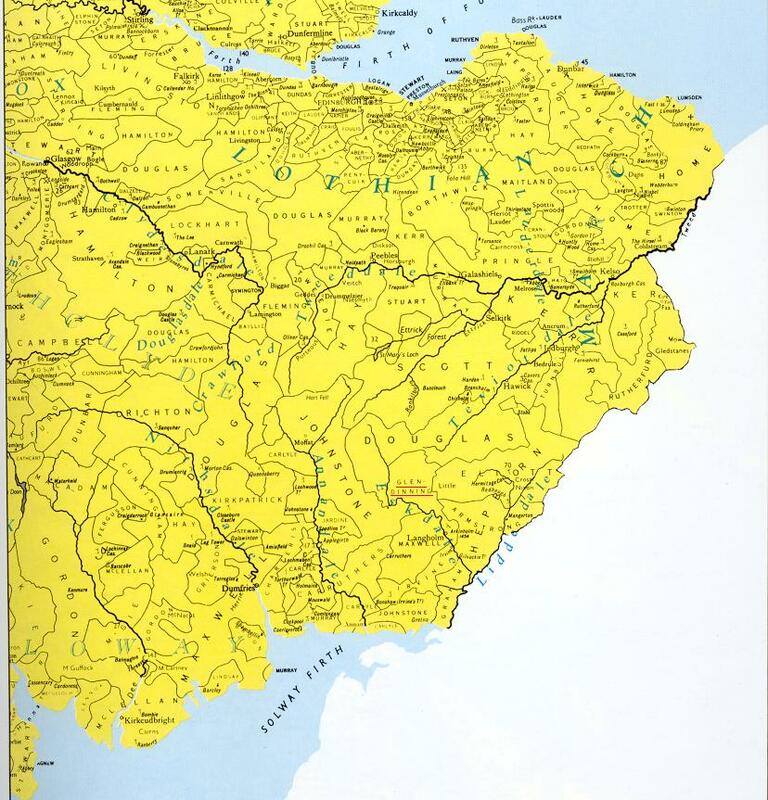 Also note the interchangeable use of the names for the East Lothian lands of Waughton above. The Waughs of Heip in the Parish of Wilton, Roxburghshire, held their lands from the thirteenth to the seventeenth century. It has also been shown to be a surname in its own right. Another possible, yet not as likely, Border branch of the Wauchopes, the Warcops of Cumbria, England, had their seat at Warcop Castle, whose spot is marked by Castle Hill. The family held the manor from the reigns of King John (1199-1216) to Queen Elizabeth (1558-1603). This area switched back and forth several times between Scotland and England, before remaining under English control. The castles ancient walls were said to have been dug up and used to build the tower of Kirkby Stephen church circa 1506. Just to the southwest is Warcop Tower Farm which is on the site of another former Warcop tower. In addition, nearby Smardale Hall was originally built by the Warcops and passed through marriage to the Dalstons circa 1580, then eventually to the Smardales. 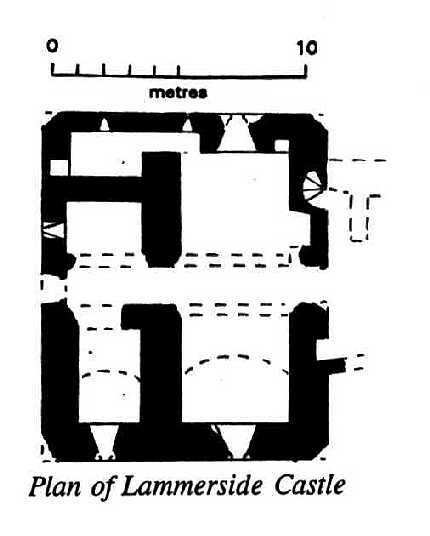 The Warcops also likely built Lammerside Castle 2 ½ miles south of Kirkby Stephen. The castle fell into disrepair under the Wharton family after construction of Wharton Hall in the early fifteenth century. The ruins of the original fourteenth century tower remain. The Ulster (Northern Ireland) line was founded originally by James Wauchope of Niddrie-Merschell in about 1610, although other Wauchopes had lived in Ireland prior to that time (e.g., Robert Wauchope, Archbishop of Armagh and Primate of all Ireland, who died in 1551). James was the second son of John Wauchope, Baillie of Niddrie. The family name is generally pronounced Wahab in Ulster as the native Irish dropped the k sound (ch in Gaelic is pronounced k as in Loch). Some have thought this to be a form of Indianization of the name, as relating to long years of government service in India. (As an aside, the name Wahab is also a common Arabic name referring to a title of Allah - “provider of everything.”) The Wauchobs of Counties Donegal and Tyrone seem to have come along separately from Scotland. Many Wauchopes later immigrated to North America, Australia, and New Zealand by way of Ulster. One of the earliest Wauchopes to reach the colonies was Archibald Wahoope in Virginia between 1623-1651. Another early Wauchope to America was John Waughop in Maryland prior to 1653. Also, George Walkup arrived in Massachusetts sometime in the late 1600s from Scotland, or possibly Ulster (Y-DNA testing has revealed a match with the Waughs of Dumfriesshire). The main Walkup line dates back to 1724 with the arrival of Samuel and Nancy Alexander Wauchope from Carrick-Fergus, Ulster. The spelling was said to be officially changed to Walkup in 1824 at a family reunion of their descendants in Virginia, although the spelling has been found in writing in America before at least 1800 and England prior to 1651. There are a small number of black Americans with the name Walkup. It is known that some of them are in fact descendants of Walkup slave holders. Some members of the Wachob line have since changed their spelling to Walkup as well. There is also a small number of Walkups in England, Scotland and Wales that may not be directly related. Apparently this spelling became a somewhat popular later “Anglicization” of Wauchope. In America today, the Walkup line ranks second in number only to the Waughs (i.e., about 2,800 versus 11,000). The Australian line began with the arrival of Captain Robert Andrew Wauch in 1836 (Wauchope NSW), and Captain John Wauchope of Niddrie-Merschell in Adelaide in 1839. 1. Oftentimes a family motto was derived from a Bible verse or employed canting (i.e., play on words or puns). These early Wauchopes evidently chose a motto to proclaim the familys strong work ethic and faith in Gods blessings. 2. Wallop is also believed to be a branch of the powerful Norman family Peverel who took on the name of their estate in Hampshire, England, during the thirteenth century. 3. Some Wauchopes may very well instead be Normans who first arrived to Scotland from England with the train of King David I, circa 1124. King David, making the town of Roxburgh his capital, never made his Norman nobles earls, but barons with the rights and custom of an earl. However, the Wauchopes and Warcops have not been found in any lists of Normans accompanying David I, which is not too unexpected as they were not tenants-in-chief. 4. These particular lands may rather be situated in Dumfriesshire as the Glendonyn (Glendinning) family was a known sept of the Clan Douglas. For years they held the lands east of the River Esk, just north of Langholm. These very lands may have once been those in the South possessed by Robert Wauchope of Culter, Aberdeenshire. As it turns out the confusion lies in the fact that the ancient border between Dumfriesshire and Roxburghshire cut the Wauchope Water just west of Wauchope Castle, rather than running north-south a few miles east of Langholm as it came to later. 5. In his book The History of Liddesdale, Eskdale, Ewesdale, Wauchopedale, and the Debateable Land, Robert B. Armstrong claims that this Alexander de Walchope was actually Alexander Lindsay of Wauchopedale, Dumfriesshire. 6. Johns and Williams ownership of lands in Ireland is further substantiation of these Wauchopes supposed Norman origins, as it is well known that at this time the entire island was held almost exclusively by Norman barons. 7. According to a manuscript written by William Wauchope of Niddrie in 1700, the family was first forfeited in King James IIs time (1437-1460), for making an inroad into England, so that by that means most of the old charters and evidents were lost. Secondly, together with the Earl of Bothwell, Archibald Wauchope led an attack on the Palace of Holyrood in 1591. The Niddrie estate was conferred to the neighboring Edmonstones, for damages suffered whilst feuding with the Wauchopes. 8. In Edmonstone/Edmiston family records the family Bauchape is listed as having bought the estate upon the death of the last male heir in 1671, additional evidence that the names Bauchope and Wauchope are one in the same. c. 6th century BC Celtic Britons settle in Scotland. Possible Wauchope ancestor arrives. AD 43-84 Romans conquer Britain. Possible Walkup ancestor arrives to Britain as soldier in First Cohort of Thracians stationed at Wroxeter auxiliary fort in west central England. 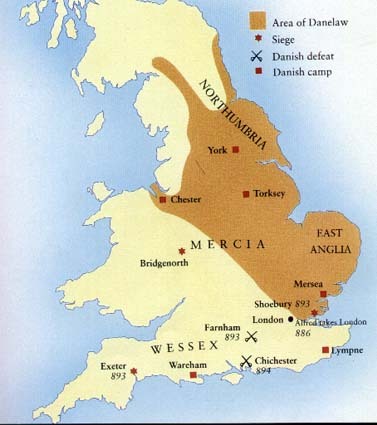 c. 9th century Vikings set up Danelaw in Britain. Possible Waugh ancestor arrives to Scotland. 911 Rollo and his Vikings land in Normandy, France. Possible Wauchope/Waugh ancestors thereafter arrive to Normandy. c. 1055 English King Edward III, the Confessor, (1042-1066) invites Norman knights to England to fortify the Welsh border. Possible Wauchope ancestor arrives to England from Normandy. c. 1060 Scottish King Malcolm III, Canmore, (1058-1093) on Deeside, Aberdeenshire. c. 1062 Scottish King Malcolm III, Canmore, invites French knights (predominately Normans) to Scotland. Possible Wauchope ancestor arrives to the Borders region of Scotland from England. 1066 Duke William of Normandy, descendant of Rollo, invades England at Hastings, becoming English King William I, the Conqueror (1066-1087). 1086 William the Conquerors Domesday property listing of England. 1095 Launch of the Crusades to liberate the Holy Land from the Muslims (1095-abt. 1300). c. 1124 Scottish King David I (1124-1153), son of Malcolm III, first invites Norman barons up from southern Scotland to create a feudal Deeside. 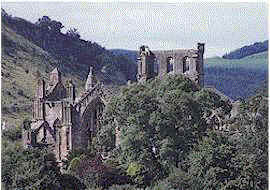 c. 1165 First recorded Wauchope, Ada de Waleuhope witnesses a charter by Symon de Lyndsay of Wauchopedale, Dumfriesshire, to the Abbey of Melrose in the reign of Scottish King William the Lion (1165-1214). 1187 Scottish King William the Lion gifts Maryculter, Kincardineshire, to the Knights Templar. 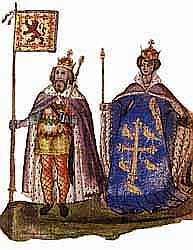 1247 Scottish King Alexander II (1214-1249) confirms charter of Peterculter, Aberdeenshire, to Robert Wauchope. The remainder of these lands go to the Cummins upon the marriage of his granddaughter, Marjory. 1249 Branch of Wauchope family of Aberdeenshire possibly first comes into possession of the Midlothian lands of Niddrie. 1285 Sir John Lindsay granted Wauchopedale of Dumfriesshire and builds Wauchope Castle along the Wauchope Water southwest of Langholm. 1290 Bruces Wars -- War of Succession and Independence (1290-1328). The Wauchopes of Aberdeenshire lose much property for supporting the Cummins over the Bruces. 1295 The “Auld Alliance” mutual defense treaty between Scotland and France signed. Many Scots, including Wauchopes, fought in France for the French king against the English during the Hundred Years War (1340-1435). 1296 English King Edward I, Long Shanks, (1272-1307) invades Deeside. Sir Robert Wauchope de Culter pays homage. c. 1300 William Wauchope adds to family estates in Roxburghshire and holds vast lands in Ireland. Norman barons rule Ireland. 1350 Bubonic Plague or Black Death ravages Scotland, killing over one third of the Lowland population. 1389 Scottish King Robert II (1371-1390) confirms a charter of James, Earl of Douglas, for lands in the Borders to Alexander de Walchope. These lands later go to the Glendonyns through marriage. c. 1390 Gilbert Wauchop has a charter from King Robert III (1390-1406) for the lands of Niddrie. 1404 Turnbulls granted former Wauchope lands of Wolfelee in Roxburghshire. 1437 Edinburgh made the national capital of Scotland. 1559 John Knox aids a Protestant revolution in Scotland which ultimately divides the Wauchopes between Covenanters and Roman Catholics. 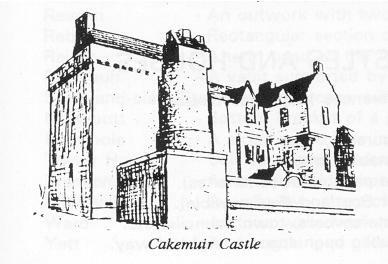 1565 Adam Wauchope possesses Cakemuir Castle in Edinburghshire. c. 1610 James Wauchope of Niddrie moves to Ulster. c. 1642 Three Wauchope brothers in Munros Scots army settle in Ulster. c. 1653 John Waughop arrives to Maryland Colony, America, from Ulster. 1671 Wauchopes of Niddrie-Merschell acquire, through marriage, the adjacent lands of Edmonstone after many years of feuding with the Edmonstones. c. 1688 George Walkup arrives to Massachusetts Colony, America, from Scotland (or Ulster). 1724 or 1727 Samuel and Nancy Wauchope arrive to Pennsylvania Colony, America, from Ulster. 1730 Dons of Newton acquire, through marriage, the Wauchope lands of Edmonstone, and take on the name Don-Wauchope. 1715-1745 Wauchopes of Niddrie sympathize with the Stuart cause. 1745 Highland Clearances end Clan rule. 1839 Captain and Mrs. John Wauchope of Niddrie-Merschell arrive to Adelaide, Australia. 1944 Remaining Wauchope Niddrie-Merschell estate sold. Effective end of Wauchope aristocracy. * Anderson, William. Genealogy and Surnames. Edinburgh: William Ritchie, 1865. * Anderson, William. The Scottish Nation. Vol. III. Edinburgh: A. Fullarton & Co., 1863. Armstrong, Robert B. The History of Liddesdale, Eskdale, Ewesdale, Wauchopedale, and the Debateable Land. Part I. Edinburgh: David Douglas, 1883. * Avenel, E. [probable author]. The Norman People and their existing descendants in the British Dominions and the United States of America. Baltimore: Genealogical Publishing Company, 1999 [reprint of 1874 book]. * Baird, William. General Wauchope. Edinburgh and London: Oliphant, Anderson and Ferrier, 1902. Bird, Steven C. “Haplogroup E3b1a2 as a Possible Indicator of Settlement in Roman Britain by Soldiers of Balkan Origin”. Journal of Genetic Genealogy. 3(2): 26-46, 2007. Black, George F., Ph.D. The Surnames of Scotland Their Origin Meaning and History. New York: The New York Public Library, 1946. Burke, Sir Bernard. Genealogical and Heraldic History of the Landed Gentry. England: Burkes Peerage Limited, 1939. Burke, Sir Bernard. Genealogical and Heraldic History of the Peerage, Baronetage and Knightage. 99th ed. England: Burkes Peerage Limited, 1949. Burke, Sir Bernard. The General Armory of England, Scotland, Ireland and Wales. Baltimore: Genealogical Publishing Company, 1967 [reprint of the last edition of 1884]. Burnett, George. The Family of Burnett of Leys. Aberdeen: Milne and Hutchison, 1901. Carlisle, Nicholas. A Topographical Dictionary of Scotland and of the Islands in the British Sea. London: W. Bulmer and Co., 1813. Clindening, Gerald Talbot. The House of Glendonwyn. Adelaide: A & E Lewis, 1942. Coutts, James. Anglo-Norman Families in Scotland 1057-1200. Bruceton Mills, WV: ScotPress, 1999 [reprint of 1923 book]. Crummy, Helen. Let the People Sing: A Story of Craigmillar. Worcester, England: Billings Book Plan Ltd., 1992. * Douglas, Sir George. The Life of Major-General Wauchope. London: Hodder and Stoughton, 1904. Fol, Alexander & Marazov, Ivan. Thrace & The Thracians. New York: St. Martins Press, 1977. Fox-Davies, Arthur C. The Complete Guide to Heraldry. New York: Gramercy Books, 1993. * Groome, Francis H. Ordnance Gazetteer of Scotland. London: William MacKenzie, 1895. * Hanna, Charles A. The Scotch-Irish. 2 vols. Baltimore: Genealogical Publishing Company, 1995 [reprint of 1902 book]. * Johnston, James B. Place-Names of Scotland. Edinburgh: David Douglas, 1903. Loyd, Lewis C. The Origins of Some Anglo-Norman Families. Baltimore: Genealogical Publishing Company, 1999 [reprint of 1951 book]. * MacKenzie, George, M.D. The Lives and Characters of the Most Eminent Writers of the Scots Nation. 3 vols. New York: Garland Publishing, 1971 [facsimile of 1708 book]. Reid, Ann Walkup. 350 Years of Family: The Walkups, Wauchopes and Houstons. [printed for private circulation], 1992. Paterson, James. History and Genealogy of the Family of Wauchope of Niddrie-Merschell. Edinburgh: John Lindsay [printed for private circulation], 1858. * Paterson, James. Scottish Surnames: A Contribution to Genealogy. Edinburgh: James Stillie, 1866. Rennie, James Alan. The Scottish People: Their Clans, Families, and Origins. London: Hutchinson & Co. Ltd., 1960. * Robson, Thomas. The British Herald, or Cabinet of Armorial Bearings of the Nobility & Gentry of Great Britain & Ireland. Vol. II. Sunderland: Turner & Marwood, 1830. 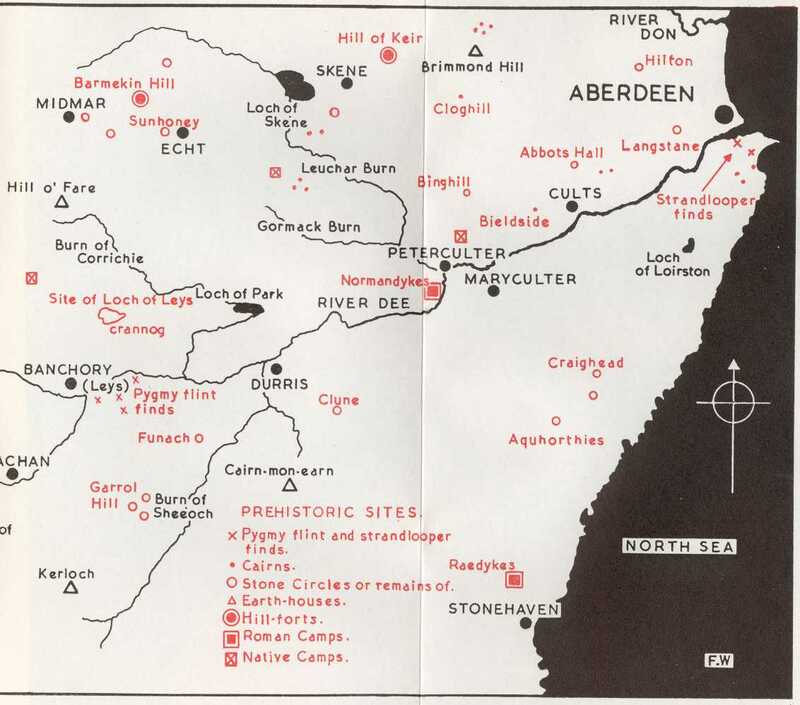 Royal Commission on the Ancient and Historical Monuments of Scotland (RCAHMS). Royal Commission on the Historical Monuments of England (RCHME). Salter, Mike. The Castles and Tower Houses of Cumbria. Malvern, England: Folly Publications, 1998. Salter, Mike. The Castles of Grampian and Angus. Malvern, England: Folly Publications, 1995. Salter, Mike. The Castles of Lothian and the Borders. Malvern, England: Folly Publications, 1994. * Scott, Sir Walter, Bart. The Miscellaneous Prose Works of Sir Walter Scott, Bart. Vol. VII. Edinburgh: Robert Cadell, 1834. * Tancred, George of Weens. Rulewater and Its People: An Account of the Valley of the Rule and Its Inhabitants. Bristol, England: Cromwell Press Ltd., 1992 [reprint of 1907 book]. Tranter, Nigel. The Fortified House in Scotland. Vol. I: South-East Scotland. Edinburgh: The Mercant Press, 1986 [reprint of 1962 edition]. Walkup, Dr. J. Lawrence. The Walkups an American Family for Three Hundred Years. Vol. II. Flagstaff, Ariz.: Author Universal Publishing, 1989. Walkup, Lucian L. The Walkups an American Family for Three Hundred Years. Vol. I. Flagstaff, Ariz.: Author Universal Publishing, 1988. Wauchope, Gladys M. The Ulster Branch of the Family of Wauchope, Wauhope, Wahab, Waughop, etc. London: Simpkin Marshall, Ltd., 1929. Way, George of Plean and Squire, Romilly. Scottish Clan & Family Encyclopedia. New York: Barnes & Nobles Books, 1998. Wyness, Fenton. Royal Valley: The Story of the Aberdeenshire Dee. Aberdeen: Alex P. Reid & Son, 1968. * This book is available (in whole or in part) for search/download as a PDF file at Google Book Search. © 1999-2019 Bruce E. Walkup.